This batter will give you that delicious “from scratch” taste you will love with only a few moments of preparation needed! Each Waffstix will have the divine taste that will keep you coming back for more! 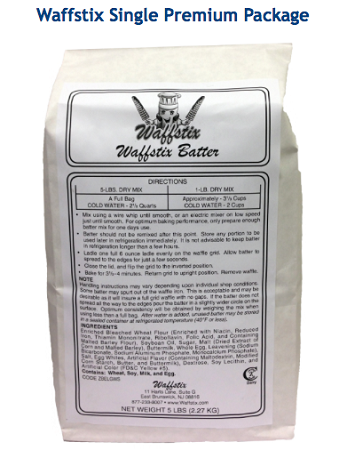 The Waffstix Batter come in a 5 lb bag / 6 case. Each bag makes makes 40 – 45 Waffstix. 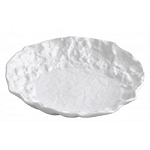 Ingredients: Enriched Bleached Wheat Flour (Enriched with Niacin, Reduced Iron, Thiamine Mononitrate, Riboflavin, Folic Acid, and Containing Malted Barley Flour), Soybean Oil, Sugar, Malt (Dried Extract of Corn and Malted Barley), Buttermilk, Whole Egg, Leavening (Sodium Bicarbonate, Sodium Aluminum Phosphate, Monocalcium Phosphate), Salt, Egg Whites, Artificial Flavor (Containing Maltodextrin, Modified Corn Starch, Butter, and Buttermilk), Dextrose, Soy Lecithin, and Artificial Color (FD&C Yellow #5). MEASURE or WEIGH mix and water. STIR by hand with wire whip until batter is smooth. BAKE per Waffstix Instruction Manual instructions. PLACE cold water in bowl. BLEND 15 seconds on 1st speed (low speed) using paddle. BLEND 30 seconds on 1st speed. 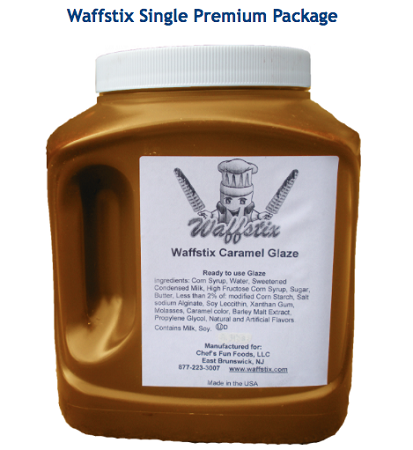 Our sinfully delicious Caramel Waffstix Glaze offers a wonderfully rich, caramel flavor that perfectly compliments the flavors of our Waffstix Batter Mix. 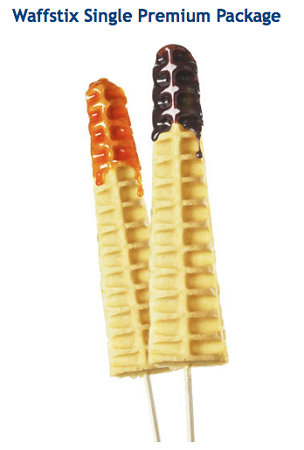 This irresistible Caramel Glaze has been carefully formulated to minimize any potential drips while the Waffstix is being devoured, one delicious bite at a time. Ingredients: Corn Syrup, Water, Sweetened Condensed Milk, High Fructose Corn Syrup, Sugar, Butter, Less than 2% of: modified Corn Starch, Salt sodium Alginate, Soy Leccithin, Xanthan Gum, Molasses, Caramel color, Barley Malt Extract, Propylene Glycol, Natural and Artificial Flavors. 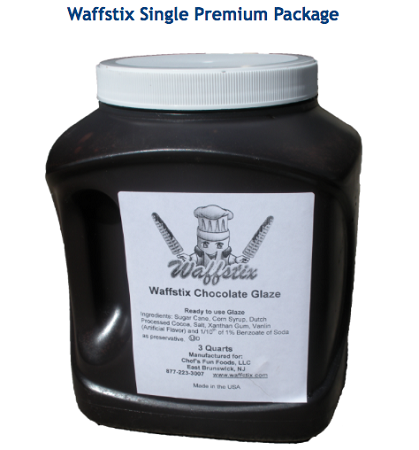 Chocolate lovers will be captivated by the rich chocolate flavors of our Chocolate Waffstix Glaze. Our smooth, delicious chocolate will excite your taste buds as they relish for more. Ingredients: High Fructose Corn Syrup; Corn Syrup; Water; Cocoa; Sugar: Contains 2% or less of: Potassium Sorbate(Perservative); Salt: Mono-and Diglycerides; Xanthan Gum; Polysorbate 60; Vanillin, Artificial Flavor. You’ll love the taste of fresh strawberries found in our Strawberry Waffstix Glaze. 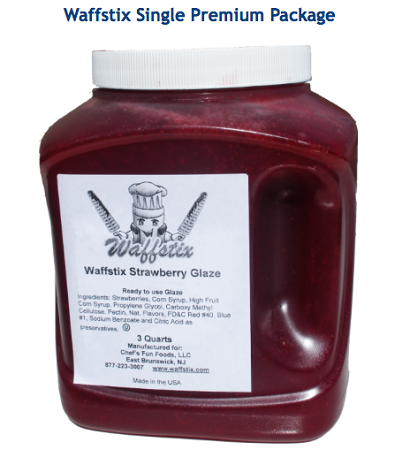 This delightful glaze is made with real bits of strawberry to give it the taste of fresh strawberries we have all come to know and love on our waffles, but now on the Ultimate Waffle On A Stick! Incite your taste buds cravings as you enjoying our delicious Strawberry Waffstix Glaze. Ingredients: Water; High Fructose Corn Syrup; Food Starch-Modified; Salt; Artificial Flavor; Citric Acid; Sodium Benzoate & Potassium Sorbate (preservatives); Artificial Color (Red 40); Sodium Citrate. 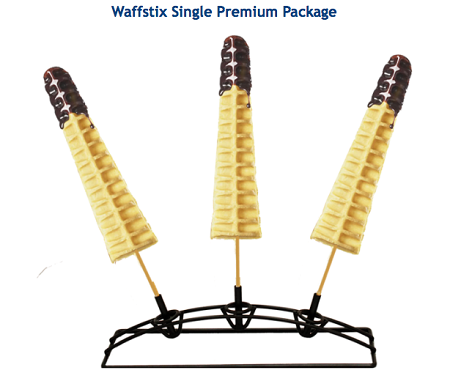 The Waffstix Stand will show off your Waffstix in a dynamic fashion. 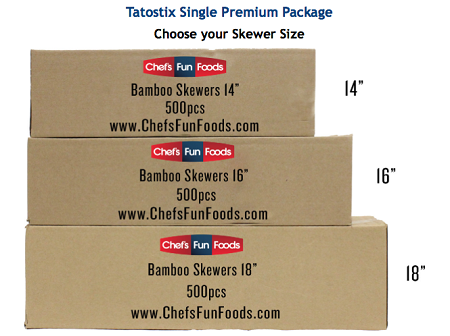 The stand can hold upto three skewers. It stands 12"L X 4"W X 3.5"D and made from steel with a black powder coated finish. This eye-catching stand will help you build product recognition and have the ability to mix and match foods on a stick such as Waffstix, Tatostix, Kabobs, Chicken on a stick and etc. Waffstix’s fluted Waffstix Trays are 10 inches in length and are a great way to serve and present a Waffstix! 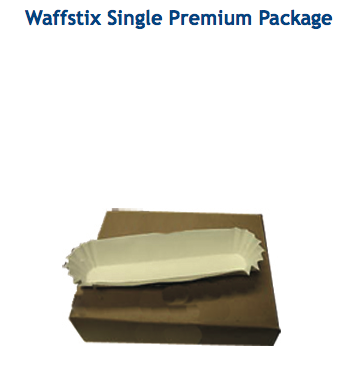 Each Waffstix Tray provides a quick, easy, convenient, sanitary, single service disposable tray for your Waffstix. 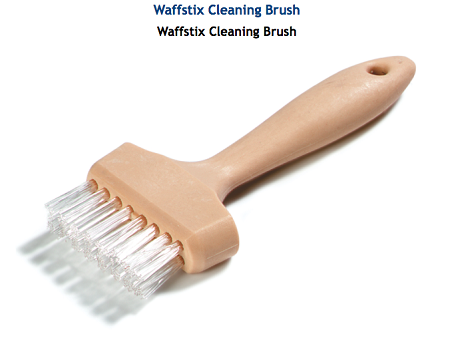 Our Waffstix Cleaning Brush is the easiest way to keep your Waffstix Baker clean! This brush features extra stiff bristles allowing long term use while outlasting and out performing Nylon, plastic or natural bristles!